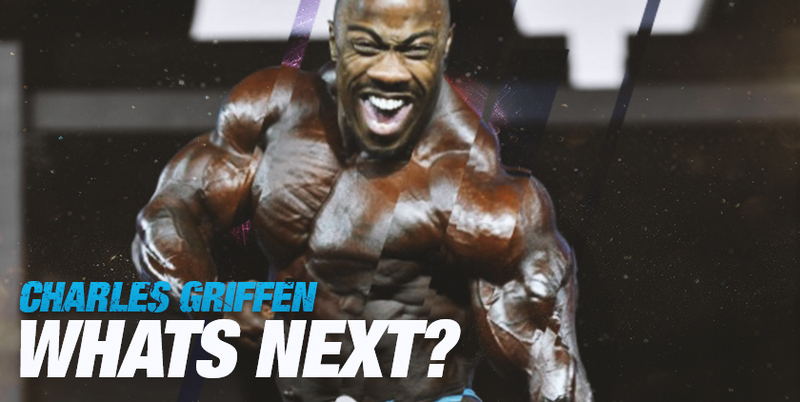 We sat down with Team BPI athlete, Charles Griffen to hear about his life after the Olympia. BPI: So, you attended the Olympia this year! Charles: Yes, that was my first Olympia and it was a great experience. BPI: Tell us a little bit about how you got there. Charles: I first started bodybuilding in 2014 and my first show was the Mr. Minnesota, which I won, and then I went and did North American Nationals in Miami the same year. I did the USAs in 2015. Then I turned pro at the Miami Nationals in 2015. I did my pro debut in 2016 at the Ferrigno Legacy Pro and every pro show I’ve done since then, besides Olympia, I’ve always placed in the top five. I had a fifth-place finish, I had two second-place finishes, one third-place finish, one first-place finish. As far as my journey to the Olympia this year, my first show was the Indy Pro. That was a close show. I placed second. My next show was the Muscle Mayhem and I placed first at that show, which is where I got my qualification. I did that show in 2017 and I placed second to Victor Martinez, so that was pretty good to go back this year to that show and grab that title and my Olympia qualification. BPI: What were your goals going into the Olympia? Charles: This is like the best of the best in bodybuilding in the whole world. Since it was my first Olympia, and sometimes you’re just not given the look that you’re supposed to get at the Olympia just because it’s your Olympia debut, my realistic goal was top 10. I wanted to get in the top 10 spot. I felt I could’ve done that, but I fell a little short. I got 13th place out of 19 competitors so I fell three places short. The tenth place got picked out of the callout I was in, so it was kind of bittersweet. You know, it was in my grasp. I was right there but I just missed it. BPI: Do you feel like the guy who got tenth place brought a better package? Or do you feel like it was more political? Charles: You know, when I go back and look at the pictures, I don’t see it. This is the guy I placed second against at Indy. So when it comes down to it, I honestly feel like my physique is better than his. He’s better known than me. But looking at the pictures, my downfall was my midsection. I don’t have as much detail in my midsection. When I go through all the pictures, that’s the only knock I could put on myself. My midsection wasn’t as detailed as his. I’m not gonna say it’s politics. I’m just gonna say I didn’t get the best look. It is what it is. I got 13th place and I’m looking forward to going back next year, beating that guy and getting in the top 10. BPI: Working on your midsection is clearly going to be a focus for next year. Do you have a set plan? Charles: I haven’t really been able to work my midsection for the last two years because I have two hernias. I have an umbilical hernia and then I have another hernia in my upper-mid stomach. So I really haven’t been able to work my midsection like I want to because I didn’t want to put too much strain on those two hernias. But I’ve got hernia surgery coming up on October 17. I’m gonna get those hernias taken care of, but I’m gonna be down for four weeks. It’s gonna be good rest for my body. I’ve been going 100 miles an hour ever since I turned pro. Once I’m done with a show, I get right back on it. I never take a break. My foot is always on the gas pedal, so it’s gonna be good for me to be forced to take a rest day. But after that? That’s when I can really start my ab training and really get everything right where I need to be so I can be a top competitor on the bodybuilding stage. BPI: Are you going to work with the same coach? Charles: Yes. I had one coach before. He’s the one I worked with from my first show in 2014 up until the Indy Pro. Every pro show I worked with him, we were just barely missing it. I should’ve been on the Olympia stage before 2018, but we just kept barely missing. I needed more detail. I needed to be sharper. I went into the Indy show very confident, like “This is my show to win.” The way I looked on Thursday and Friday? It was crazy. But Saturday, it didn’t translate to the stage. I’m a very loyal person, but I had to make the right decision for my career. It’s my time now. So I switched coaches and I went with Matt Jansen. We linked up for my first show at Muscle Mayhem and we got my qualification at that first show. We brought my best package to date even though I didn’t hit my goals that I wanted to. I was a little upset after the prejudging was done, but when I went back and looked at the videos and pictures, that was the best package I’ve brought to date. I have no complaints with my coach or the way he brought me in. We just gotta go back to the drawing board and we’re gonna bring it even better next year. BPI: Aside from working on your midsection after your hernia surgery, what are your plans moving forward? Do you have specific shows you’re planning on doing? Charles: I haven’t really got set plans for the shows I’m doing. I will be competing for sure. 100%. But my main focus right now is just to rest. It’s gonna drive my mind a little crazy because I’m a personal trainer, so I’m gonna be in a gym and I’m not gonna be able to work out. My main focus right now is just getting these hernias taken care of, getting past these four weeks, getting back in the gym and assessing where we’re at and how far we are from where we need to be. Then we’ll make a decision about shows. Right now, I’m hitting the rebound phase really hard. Eating a lot of food, hitting the gym really hard so I can put on as much weight as I can before the surgery. You know, I might lose a couple pounds here or there, but if I get up to the heaviest I can before the surgery, I won’t have to worry about catching up so much after the four weeks are up. To see what Charles does next, follow him on Instagram!